“The poroelastic nature of cells may allow them to behave similarly to shock absorbers when exposed to these extreme mechanical conditions.” –Dr. Emad Moeendarbury. Animal cells behave like fluid-filled sponges in response to being mechanically deformed according to new research published recently. Scientists from the London Centre for Nanotechnology (LCN) and Department of Mechanical Engineering at University College London (UCL) have shown that animal cells behave according to the theory of ‘poroelasticity’ when mechanically stimulated in a way similar to that experienced in organs within the body. The results indicate that the rate of cell deformation in response to mechanical stress is limited by how quickly water can redistribute within the cell interior. In this ‎analogy, the rate at which the fluid-filled sponge can be deformed is limited by how fast internal water can redistribute within the sponge in response to deformation. This rate is dictated by three parameters: the stiffness of the sponge matrix, the size of the pores within the sponge matrix, and the viscosity of the interstitial fluid. To study cellular responses, UCL researchers used cell-sized levers to apply rapid well-controlled deformations on the cell surface and monitored the temporal response of cells to these deformations. Close examination of the experimental results revealed that the rate of cellular deformation was limited by how rapidly water could redistribute within the cell interior. Experimental measurements indicated that this sponge-like behavior of cells likely occurs during normal function of organs such as the lungs and the cardiovascular system. 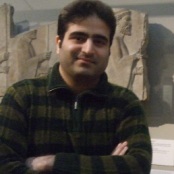 Emad Moeendarbary (pictured), lead author of the paper from UCL Mechanical engineering and LCN said, ‎‎"In the cardiovascular system, some tissues encounter extreme mechanical conditions. Heart valves can typically withstand 7-fold increases in their length in less than one second. The poroelastic nature of cells may allow them to behave similarly to shock absorbers when exposed to these extreme mechanical conditions." To experimentally verify the fluid-filled sponge model, researchers manipulated the size of the cellular pores using chemical and genetic tools and showed that the rate of cellular deformation was affected by the pore size, as suggested by the theory of poroelasticity. Illustration: London Centre for Nanotechnology.